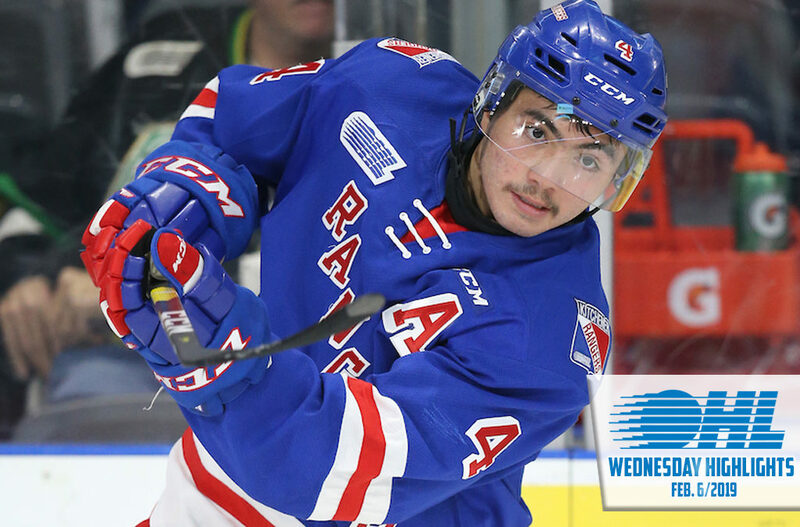 Joseph Garreffa (16, 17, 18) strung together his first OHL hat-trick, guiding the Kitchener Rangers past the Erie Otters 8-4 on the road. Kitchener’s seventh win in the past 10 games also featured a pair of goals from Rickard Hugg (23, 24) while Greg Meireles (24), Michael Vukojevic (3) and Donovan Sebrango (4) added singles. 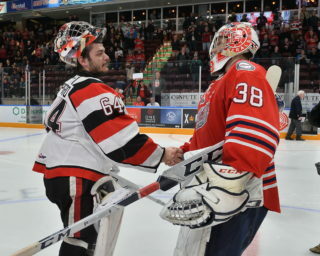 Garreffa finished with four points while Luke Richardson made 27 saves. 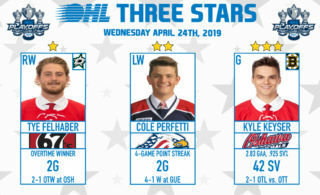 Reigning OHL ‘On the Run’ Player of the Week Riley Damiani joined Alexey Lipanov, Cole Cameron, Jonathan Yantsis and Ryan Stepien with two assists. 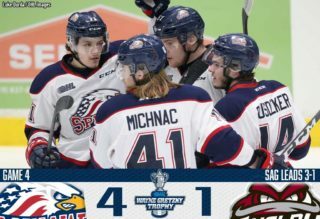 The Otters outshot the Rangers 31-22 as 2019 NHL Draft prospect Petr Cajka (16, 17) scored twice while Gera Poddubnyi (24) and Jamie Drysdale (4) also lit the lamp. The Otters suffer their seventh loss in the past 10 games and sit four points back of Windsor for the final playoff spot in the Western Conference. The Rangers improve to 24-23-3-0, pulling into a sixth place tie with Sarnia. The win is Kitchener’s first in three tries against Erie this season. Owen Robinson (5, 6) scored twice as the Sudbury Wolves stretched their winning streak to six games, defeating the rival Soo Greyhounds 4-2 on the road. Macauley Carson (10) and Adam Ruzicka (20) scored unassisted first period goals while Ukko-Pekka Luukkonen stopped 34 of 36. The Hounds outshot the Wolves 36-26 as Jordan Sambrook (14) and Jaromir Pytlik (1) accounted for goals. Pytlik finished the night with a goal and an assist, scoring for the first time in his OHL career. The win is Sudbury’s first in four tries against Sault Ste. 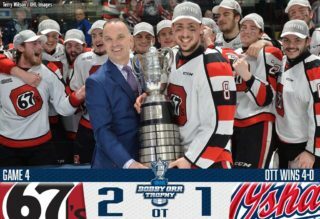 Marie this season and snaps a seven game losing skid against the Greyhounds. The Wolves improve to 31-16-2-1, six points back of first place Niagara in the Central Division. Sault Ste. Marie maintains a four point lead atop the West Division, falling to 33-12-5-1.